LIM on the Road: Let Us Come to You! Introducing our education outreach program! LIM on the Road was designed especially for schools in underserved districts and others who aren’t able to fund a bus trip all the way to Stony Brook, giving all Long Island students an equal opportunity to experience the Long Island Museum’s outstanding School Programs. Choose from two different classes, designed for different age groups, and we’ll visit your classroom! To reserve a session with one of our museum educators, call the Education Department at (631) 751-0066 x212. Using imagination and movement, students explore how art and music teach us about history! Students will be introduced to William Sidney Mount, a 19th century Long Island artist, and use inquiry-based methods to discover his artwork. 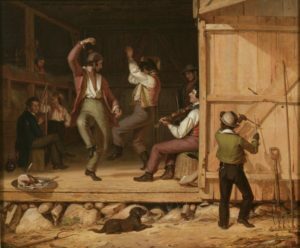 They will then have the opportunity to engage in a 19th century dance and listen to historic music. Step back in time and experience what school was like in the 19th century! Using images and artifacts from LIM’s Nassakeag Schoolhouse, a visiting educator will guide the class through a discussion of similarities and differences between school today and long ago. 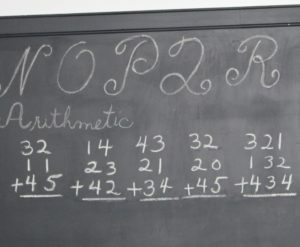 Students then have the opportunity to practice arithmetic and Spencerian Script using slate boards and dip pens.